(Reuters) – Express Scripts Holding Co <ESRX.O> built a multi-billion enterprise pressuring drug companies to lower their prices for U.S. patients. Now it is quietly building a side business: getting paid to help drug companies dispense a new generation of high-priced drugs. Express Scripts is in talks with biotechnology companies Biomarin Pharmaceutical Inc <BMRN.O>, Spark Therapeutics Inc <ONCE.O> and Bluebird Bio Inc <BLUE.O> to have its specialty pharmaceutical business exclusively distribute their new hemophilia therapies when they are expected to become available in 2019 and 2020, Chief Medical Officer Steve Miller told Reuters in an interview. – about pricing models for future therapies. Analysts project those drugs could top $1 million to $1.5 million in price. Rather than rail against the drugs’ expected high prices, Miller echoes the familiar drug company argument that the potentially curative therapies will likely be worth the high cost if they supplant the hundreds of thousands of dollars in annual medical costs to treat ailments such as hemophilia, which affects about 20,000 people in the United States alone. By working closely with biotech companies, Miller says it can help their expensive therapies succeed commercially. To manage any potential conflicts of interest, he said Express Scripts separates its benefits management and specialty pharmacy businesses. The move into hemophilia builds on exclusive rights Express Scripts already has to distribute Spark’s Luxturna – an $850,000 treatment for a rare genetic disorder that, left untreated, causes children to go blind. It has a similar deal with Biogen Inc <BIIB.O> on Spinraza, he told Reuters. The drug costs $750,000 the first year and treats the rare condition spinal muscular atrophy that often kills babies within months of their birth. Spark and Biogen confirmed the agreements. The company also helps manage one of the most expensive gene-based cancer treatments on the market: the $475,000 Novartis AG <NOVN.S> gene-based cancer therapy Kymriah – a personalized treatment that requires a long hospital stay. Novartis confirmed the arrangement to Reuters. Those deals put Express Scripts in a vastly different role than its traditional business managing prescription drug claims for the employees of its corporate and government clients, a business Cigna Corp <CI.N> found so valuable that it agreed in March to acquire Express Scripts for $52 billion. Patients usually know Express Scripts and other pharmacy benefit managers (PBMs) as the name on the insurance card they present at the pharmacy counter when picking up a prescription. That card activates discounts the benefits managers have negotiated with drug companies to lower prices, usually through rebates. PBMs make money by taking a cut of the rebates, and the rest goes to their clients. Express Scripts, which negotiates the prescription payments for 80 million people in the United States, competes with UnitedHealth Group Inc’s <UNH.N> Optum and CVS Health Corp <CVS.N>. These companies are usually among the most vocal critics of the pharmaceutical industry’s pricing practices, publicly calling out companies and specific products for their high cost. But the pharmacy benefits businesses themselves are facing growing criticism from U.S. regulators, lawmakers, drugmakers, and President Trump, who say they act as unnecessary middlemen and end up helping drive up prices for payers. Billionaire activist investor Carl Icahn mounted a proxy campaign to stop the deal on expectations the Trump Administration would end the rebates it relies on for profits. But he abandoned his efforts after two shareholder advisory groups came out in favor of the deal. As the PBM fight plays out publicly, Express Scripts has been expanding its low-profile specialty pharmacy business – which dispenses drugs that usually aren’t sold through drugstores because they require special handling. By using its own pharmacy instead of outsiders, Express Scripts is able to hold onto more of the profits along the drug distribution chain. Specialty pharmacy is one of Express Script’s fastest growing businesses and accounts for about a third of its sales and profits, ISI Evercore analyst Ross Muken said. The company earned $4.1 billion last year on total revenue of more than $100 billion – it does not break out financial information for specialty pharmacy. Many of the newest, most advanced medicines – including gene-based therapies and personalized cancer treatments – will be dispensed through specialty pharmacies, and Express Scripts is pitching biotech companies for exclusive arrangements. By working as both the manufacturer’s partner who gets paid for each sale, and the pharmacy benefit manager responsible for negotiating the best price for its traditional corporate and government clients, Express Scripts is open to questions about being conflicted, industry sources and experts say. “One could view this role as being a wonderfully catalytic: that they can help balance the views and interests of all the parties by being in this middle facilitating role. Or one could view that they have created a situation where internally they have multiple conflicts of interest, and can they manage them properly?” said Mark Trusheim, strategic director of a group of international payers and providers formed by the Massachusetts Institute of Technology to study gene therapy pricing models. Express Scripts says it saves money for payers on Luxturna by cutting out the hospital pharmacy mark up, which is 6 percent for the government Medicare program and more for commercial business – or at least $60,000 on a $1 million drug. 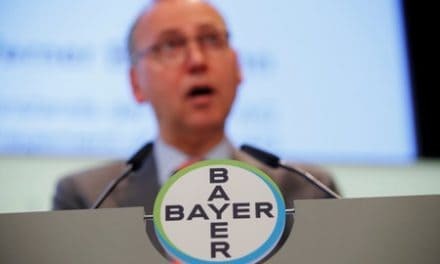 Miller said the company has a firewall between its specialty pharmacy business, which serves the drugmakers, and its businesses negotiating on behalf of his clients, the payers. Beyond potential conflict concerns, there is risk in whether the gene therapies will ever make it to the public. Spark on Aug. 7 said two patients in a small trial had an adverse immune response to an experimental hemophilia gene therapy and its shares lost more than a quarter of their value. And last month, U.S. regulators put Biogen’s gene therapy program for spinal muscular atrophy on hold, but no details were disclosed.